Johan ter Bekke studied Mathematics and Computer Science at Eindhoven University of Technology (TUE), graduated in 1974 and worked during four years as a database researcher at TUE. 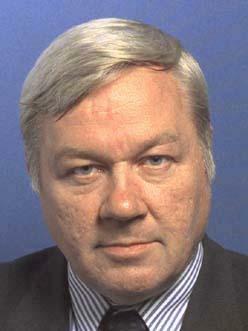 He was project leader at the Ministry of Transport from 1978 until 1980. After that he was a lecturer at the Department of Information Systems, Delft University of Technology (TUD) until 1985, later on as an associate professor. He received his Ph.D. at TUD in 1991. Johan ter Bekke lectured enthusiastically in Database Systems and was leader of the Xplain DBMS project during many years. This project resulted in a small and efficient DBMS based on his semantic principles. Johan produced many technical papers, articles and books on semantic database technology and had wide experience with data modeling in various application fields. During the last years his health condition unfortunately decreased and he unexpectedly sudden passed away on March 19th, 2004.